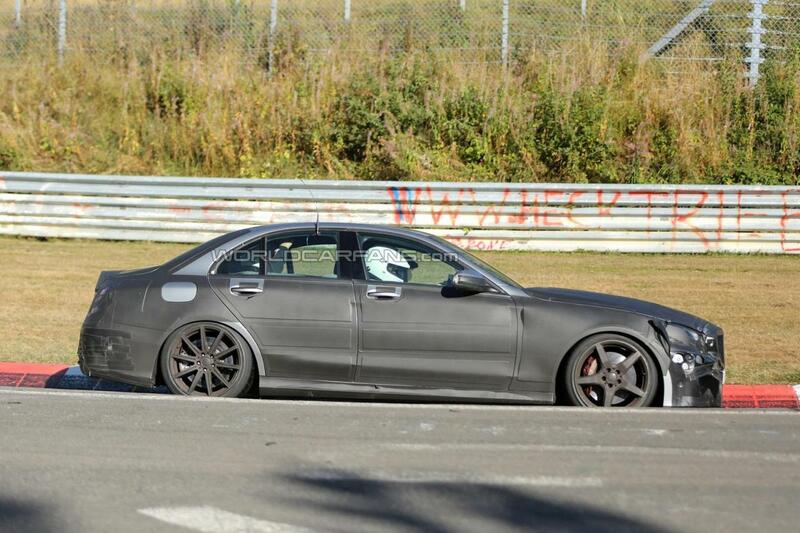 The AMG version of the Mercedes C63 just hit the Nurburgring circuit for some serious testing. 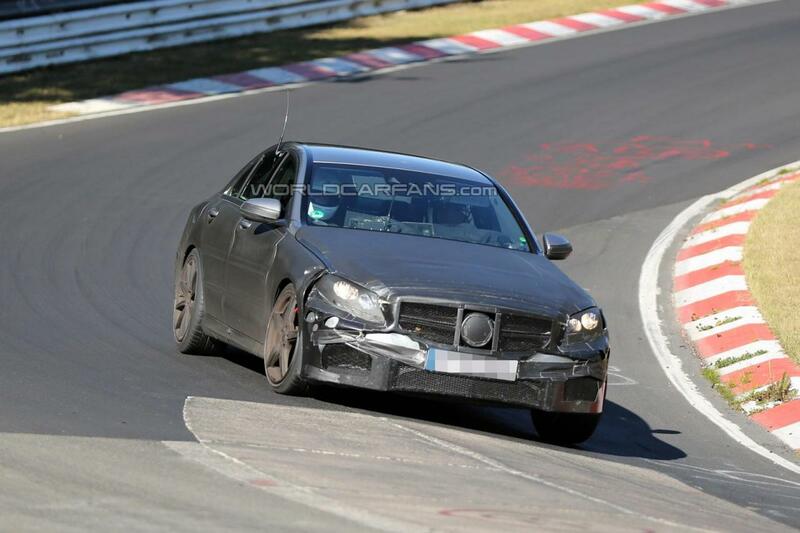 The high-performance German sedan is going to be powered by a 5.5-liter V8 engine producing 525 horsepower, slightly less than the E63 AMG from where it borrows the powerplant. At the exterior, we can see that the prototype wears a thick layer of camouflage which means that we should expect quite important styling tweaks. 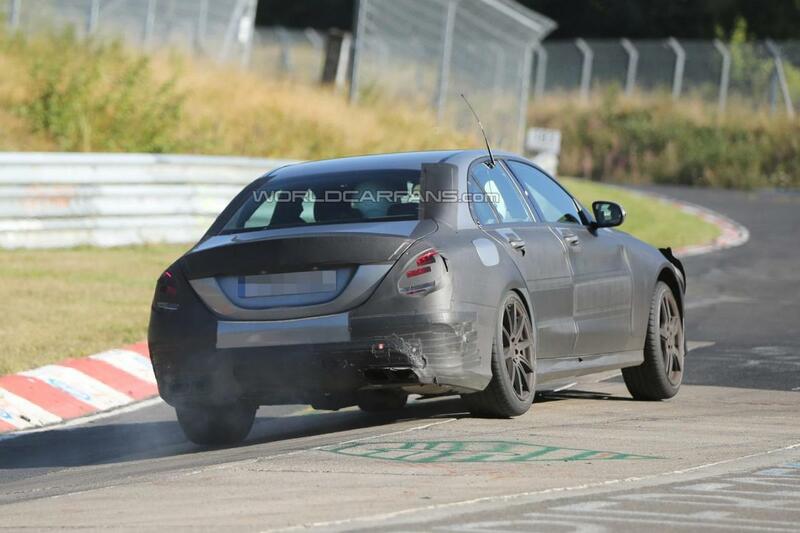 It will include new AMG bumpers, side skirts, air vents, extended wheel arches and a quad-pipe exhaust. Another uncertain fact about the new model concerns its name as there are rumors that it will come with a different moniker. 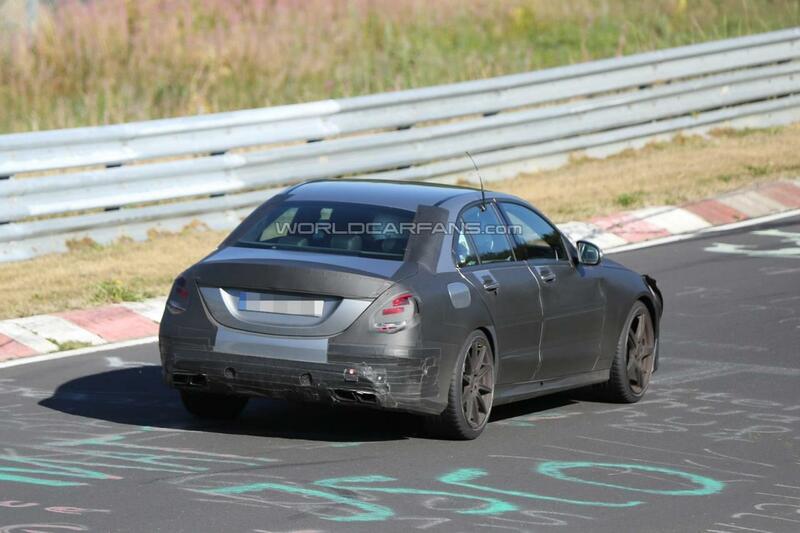 Until we get official details in this regard, we will continue to name it the 2014 Mercedes C63 AMG. Stay tuned for more details and photos as the new model is expected to debut somewhere next year.